'Ghost' photographed in selfie at Myrtles Plantation - Its A Strange World. 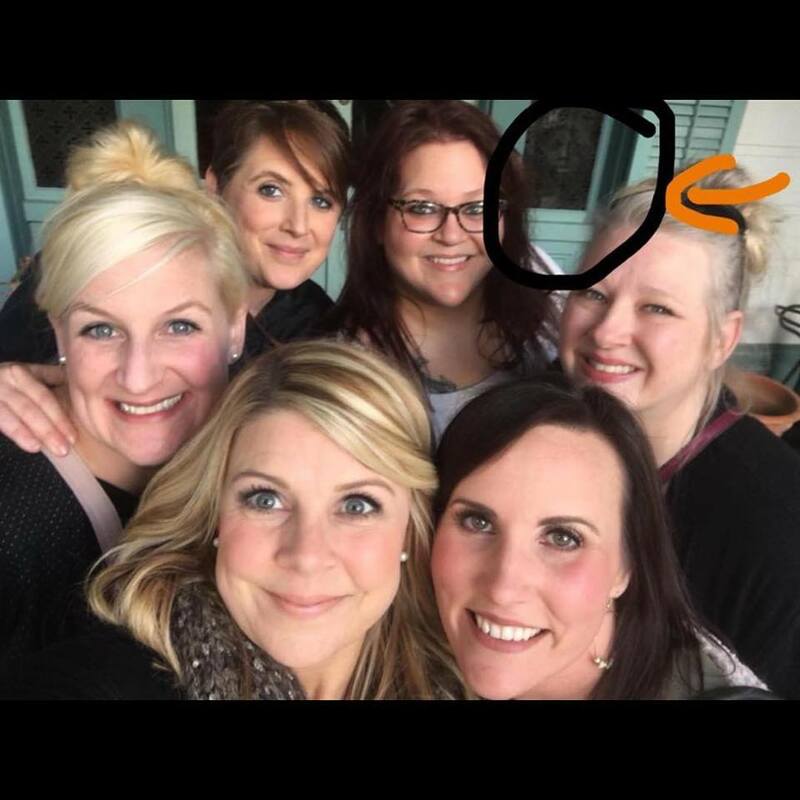 A group of women visiting Myrtles Plantation unwittingly seemed to have captured an extra guest in their group photograph. Located in St Francisville, Louisiana, the famous plantation is believed to be buried on a Tunica Indian burial ground, and is considered to be one of the most haunted places in America. One of the ghosts that has q reputation on the grounds is that of attorney William Drew Winter, who was shot by a stranger and died climbing up the stairs. A group of women recently visiting the plantation were taking a group selfie, and upon checking the photo afterwards, noticed an additional visitor in the background. What you think? Ghost, hoax or reflection of light? Previous articleBizarre: Can you ‘hear’ this GIF?